Sense Media Group’s co-founder and Managing Director, Robert Stead, has joined the judging panel for the Conference Awards 2018. Celebrating its 9th anniversary, these awards represent the pinnacle of professional achievement for event professionals. Rob’s place on the Conference Awards judging panel will add another source of valuable experience as a conference industry leader, as Sense Media Group continues to expand apace. “Spending time with other event professionals and of course looking over the best of what our industry has to offer provides an exciting opportunity to make sure we are also doing the best we possibly can. 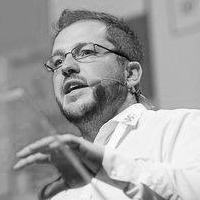 Rob’s own industry expertise has developed for nearly 15 years, having worked for PIRA International, IntertechPIRA and The Smithers Group as Head of Events for Europe, managing a portfolio of 20 conferences. After leaving in 2015 to establish his own company, Sense Media Events has launched three event brands, run events in four countries and has grown to a team of 8 full time staff. Nominations to enter the Conference Awards categories are open, closing on 21 February 2018.